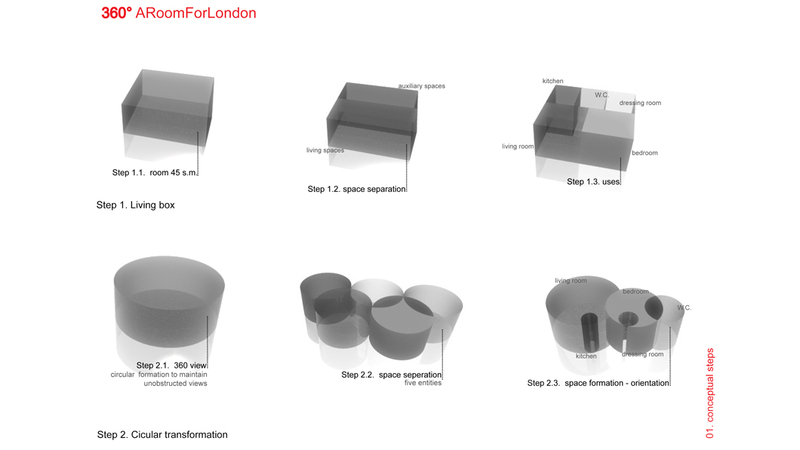 “360°” is a project designed for the “Room for London” architectural competition. 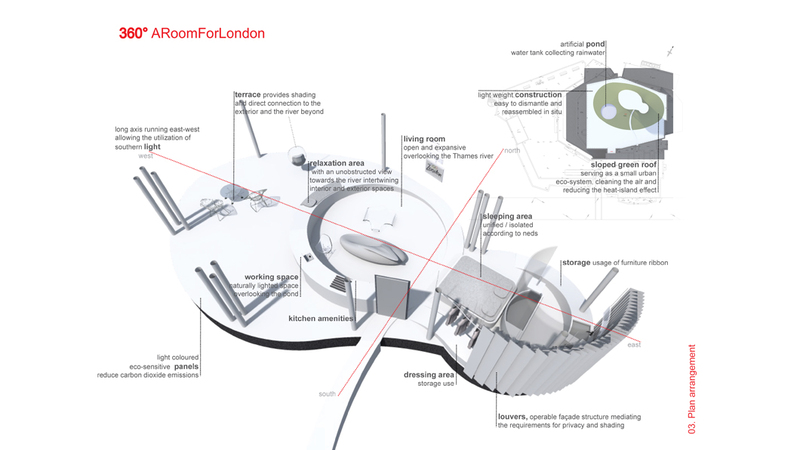 Situated on the rooftop of Queen Elizabeth Hall, one of the most renowned public buildings in London, it is an attempt of combining a recognizable structure of unfamiliar use with the most recent demands of hosting during the Olympic Games of 2012. 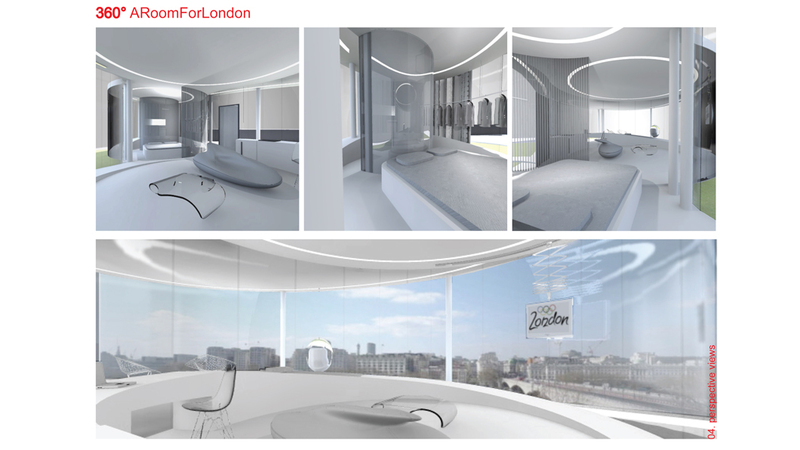 The aim was to host a type of space that would act as a temporary receiver for tourists in an alternative, privileged point of London due to the unobstructed views offered. 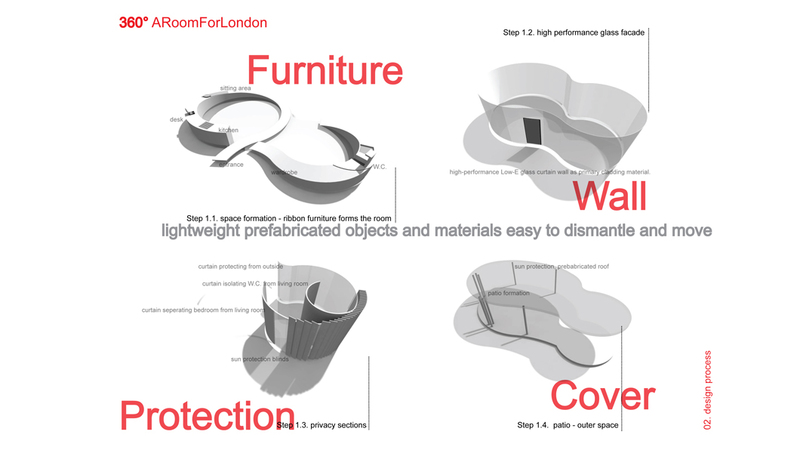 The design’s objective was the production of a form that would serve both as a landmark – a reference point during the day as well as a “beacon” for passersby during the night. 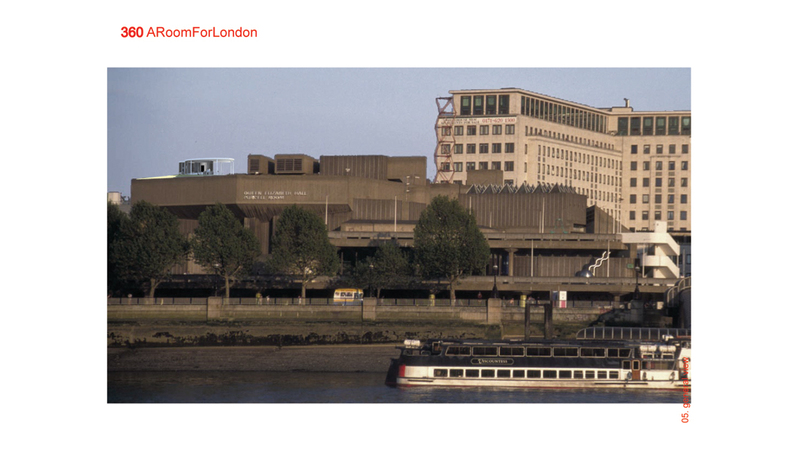 The creation of a “lightweight” structure in terms of morphology, materiality, geometry and construction clearly differentiated from the existing austere volume of Queen Elizabeth Hall was a very conscious choice. the patio, that allows viewing of the river and the city beyond in the form of a sheltered outdoor terrace.